Ha Ha Ha....very funny BD. Perhaps, a general strike is in order. 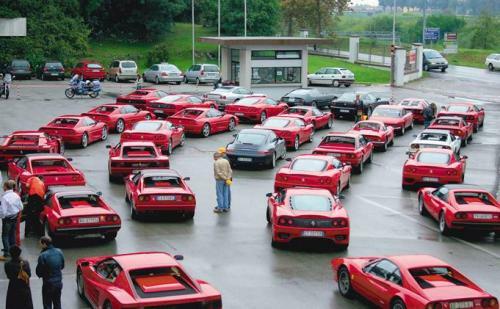 ... now where did I park??? ha ha--good one. if it was an MD conference, it'd be not Ferrari but Beechcraft. Astute Buddy.... they do like them their Bonanza's. Don't know if it is still true, but the MD's used to have the highest accident rate in that class of aircraft. It was almost a given... if you read of a crash... you knew who the driver was. my son's main flight instructor was an old A7 pilot--used to call Bonanzas ''doctor-killers''. there must be something to it--it's a widespread notion, alright.